The Neo 1350 Awning from Palram makes it look easy. 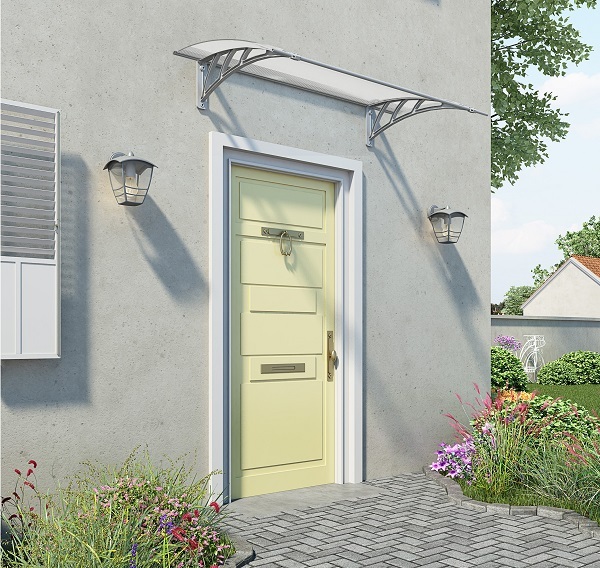 A maintenance-free contemporary design with simple lines, this is perfect for doorways, entrance areas, and windows. There is no question that this will protect you from inclement weather with high-impact polymer support arms and a virtually unbreakable six-millimeter twin-wall polycarbonate roof panel that block 100% of harmful UV rays. Palram stands behind their quality product with a three-year warranty and U.S. based customer support.